Gretchen McNeil is the author of I'm Not Your Manic Pixie Dream Girl and the Don't Get Mad duology, as well as the YA horror novels Possess, 3:59, Relic, and Ten which was a 2013 YALSA Top Ten Quick Pick for Reluctant Young Adult Readers and was adapted as the Lifetime original movie Ten: Murder Island in 2017. You can find her online at www.GretchenMcNeil.com, on Instagram @Gretchen_McNeil, and on Twitter @GretchenMcNeil. 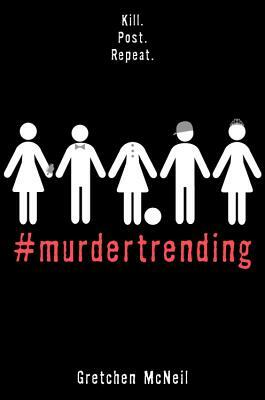 "#MURDERTRENDING is a slick, sharp, darkly comedic thrill ride. #AMustRead. "—Lamar Giles, Edgar Award Nominated author of Fake I.D.